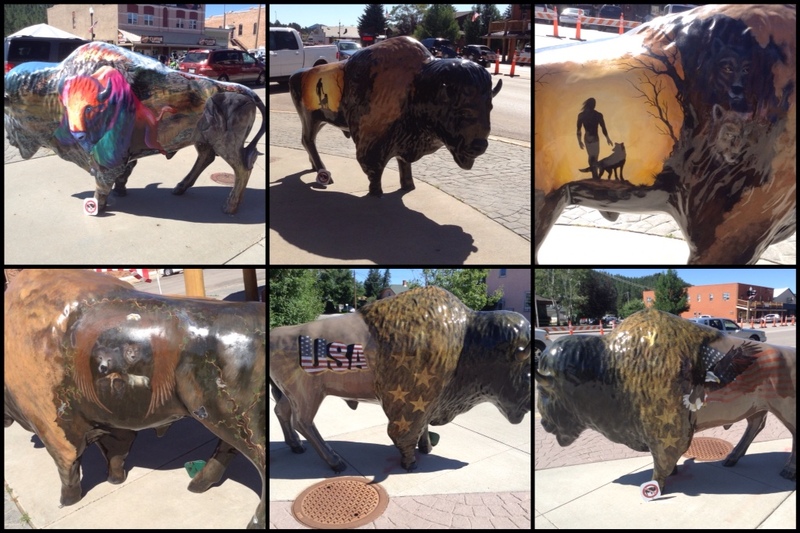 Left Rapid City this morning and headed back down into Custer as I still have yet to find that elusive blue dress for Tacky Jackie. 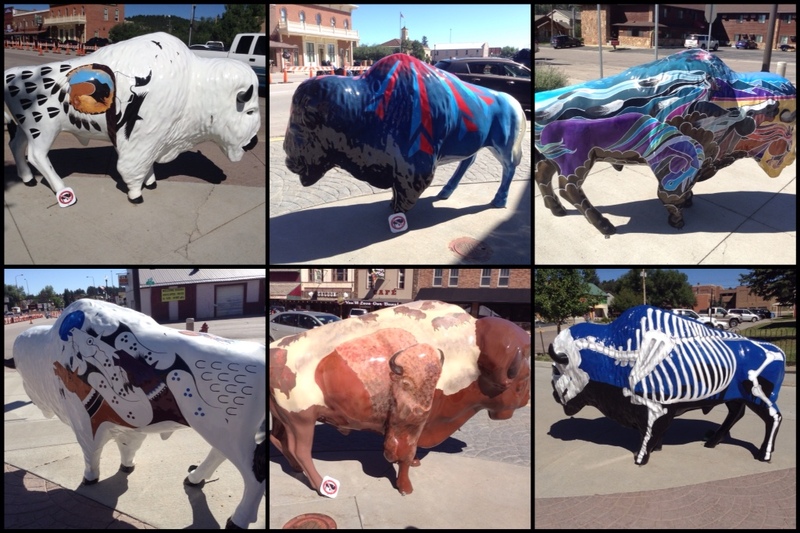 Here are just some of the painted buffalo on the street corners in Custer. 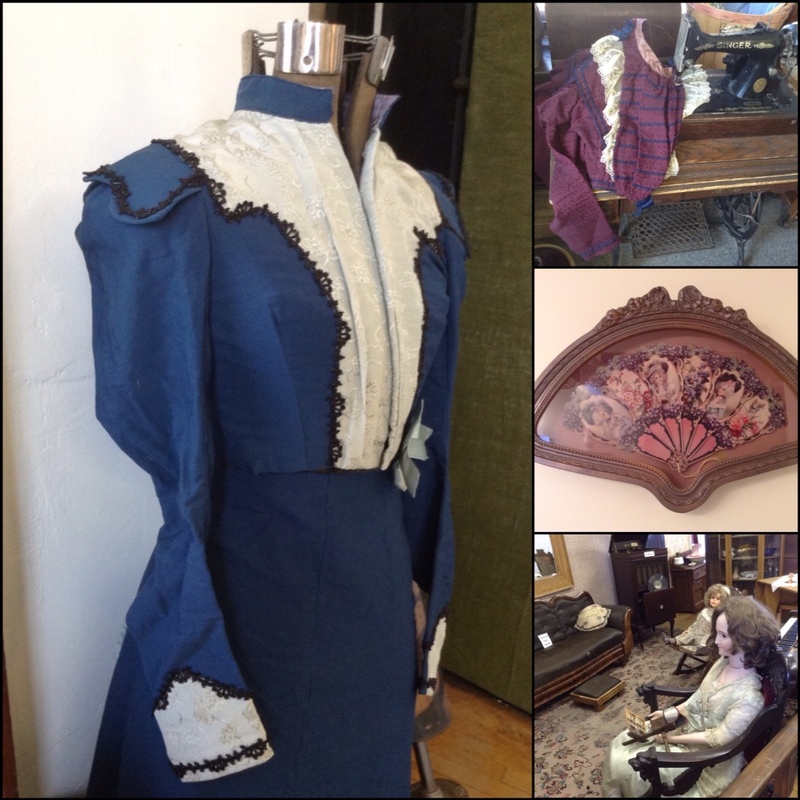 Once the 1881 Courthouse Museum was open, we entered the doors and there to my left in a room was the blue dress! 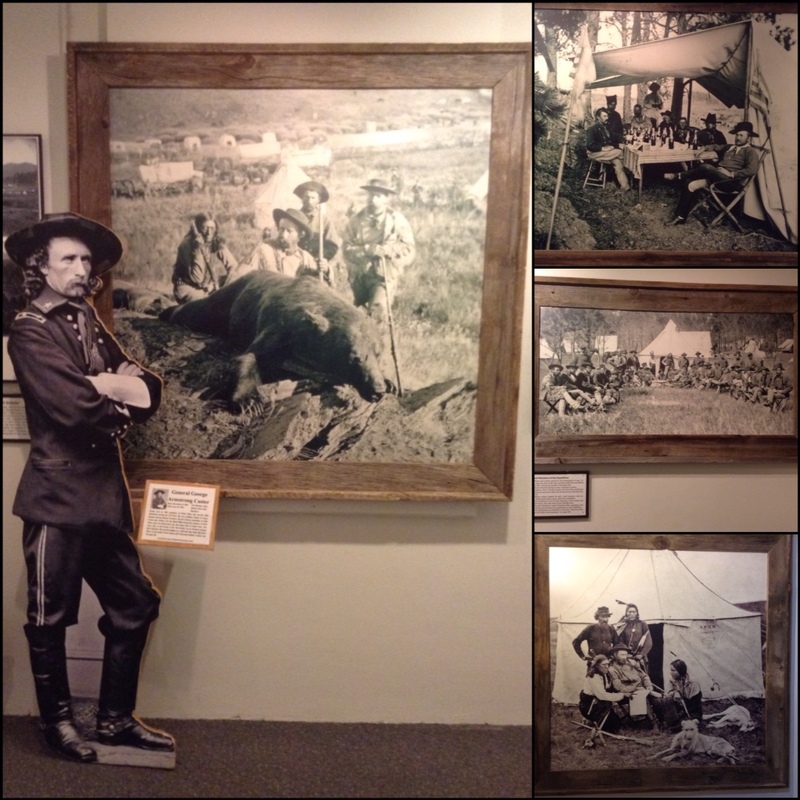 We toured through the rooms of artefacts, taxidermy and photos and items of General Custer. Into the Victorian parlour room and then the laundry come kitchen room, getting some pics of the late 1800's dress. I've yet to determine what correct era it will be. Downstairs is the original jail cell and other firearm displays. 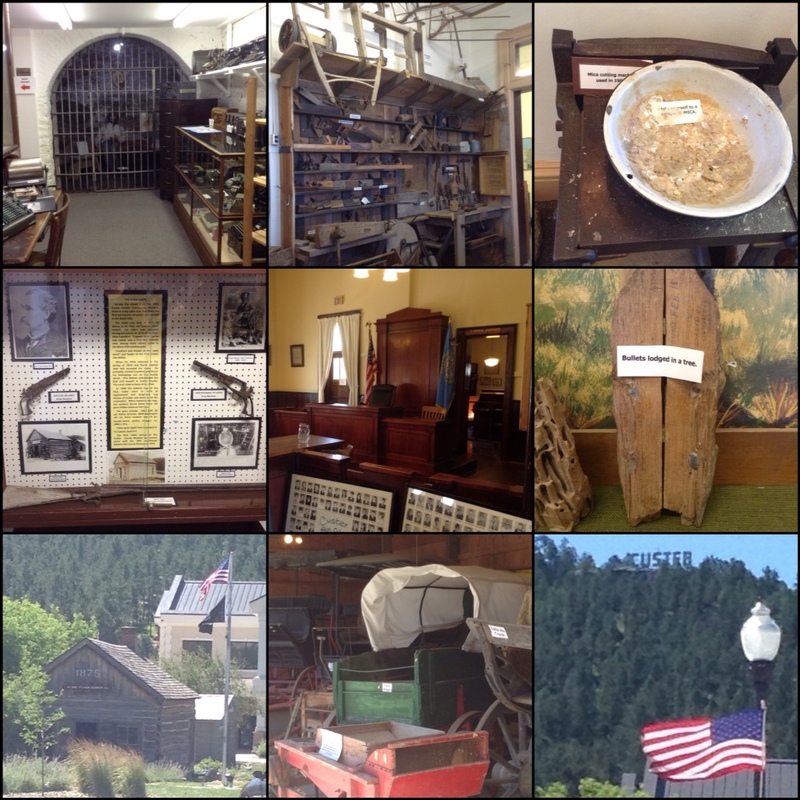 Upstairs takes you through a ranch room, firefighting equipment over the years, veterans uniform room, the judge's chamber's and original courtroom that was used from 1881 up until 1974. The outside buildings consist of an original log building – 1879 Custer's first continually operated newspaper, a brick building that was originally the outhouse, the site of Custer's only legal hanging and the carriage house. Across the road is the oldest existing structure in the Black Hills. An 1875 physicians house, Dr D.W. Flick. 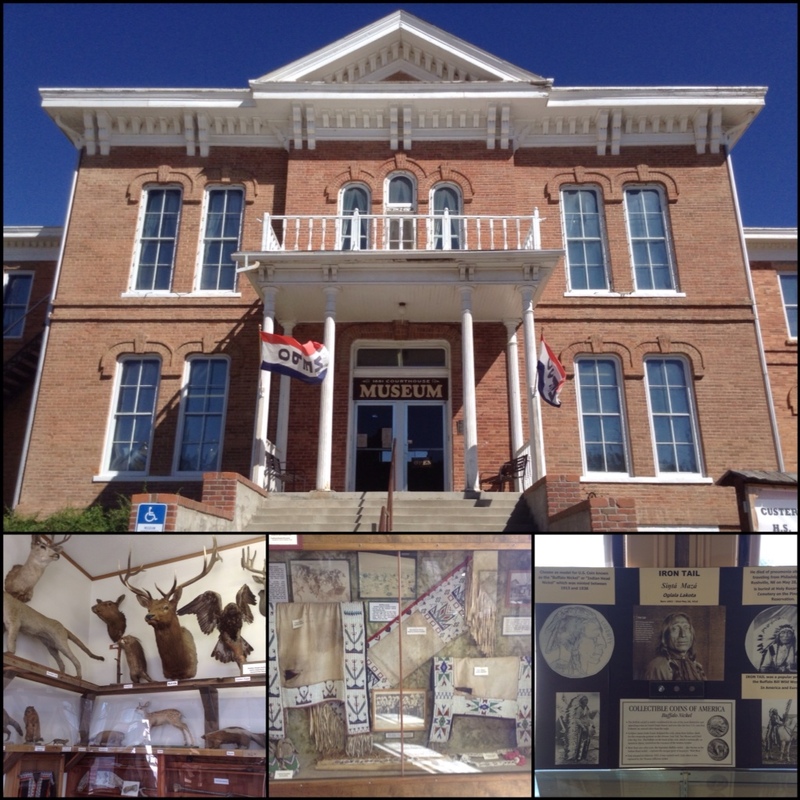 It served as a home, military headquarters, and pioneer museum. 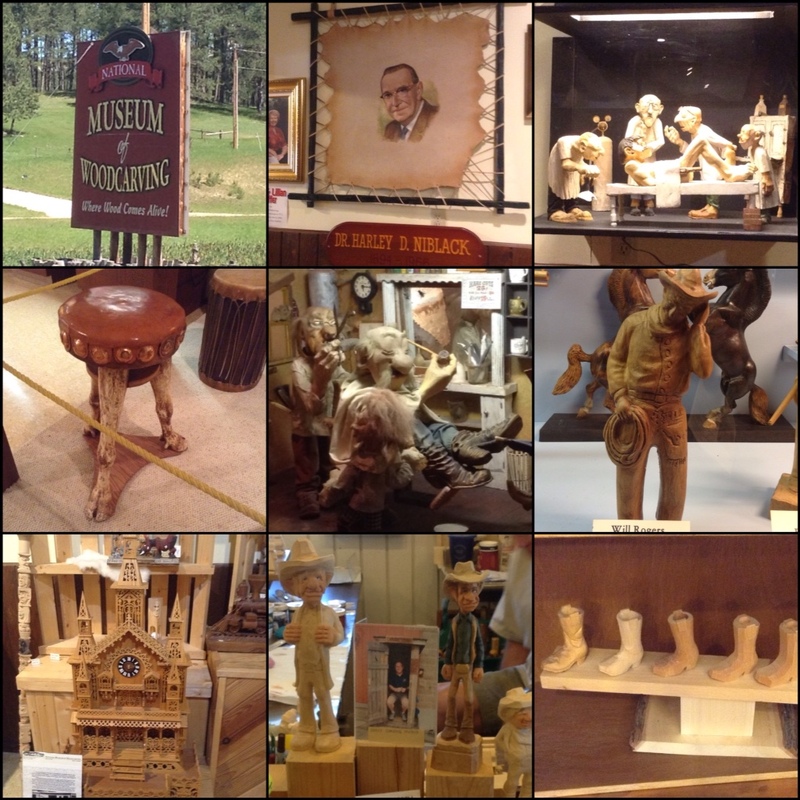 From here we headed west on Hwy16, made a quick stop at the Museum of Woodcarving. A Dr Harley Niblack was a practicing chiropractor, had invented diathermy and weight loss machines. He retired for his love of woodcarving and animation at age 42. The guy obviously had a fascination for western history too as there were cowboy caricatures, old time dentistry, mining and ranching impressions depicted in his sculptures. All I can say is, incredible detail and a very creative mind. 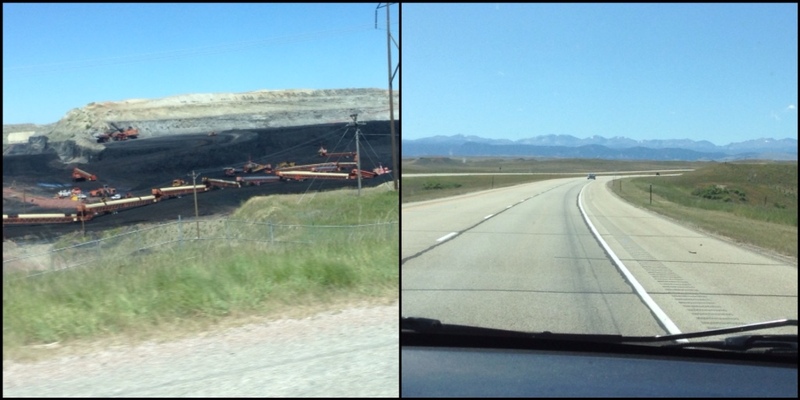 Onward we go, back through to Wyoming – Newcastle, Upton, Moorecroft, Wyodak, Gillette (the open cut coal mine), onto Buffalo and with views of the Bighorn Mountains heading into Sheridan. Only about 20miles from the border into Montana. The next few days will be spent commuting into Yellowstone National Park and Cody.